I am part of an ongoing collaboration with Luthier Stephen Rossow and Radiologist Steven A. Sirr, MD., on a project that uses existing and emerging technologies to explore the structure of- and ultimately replicate- famous violins. 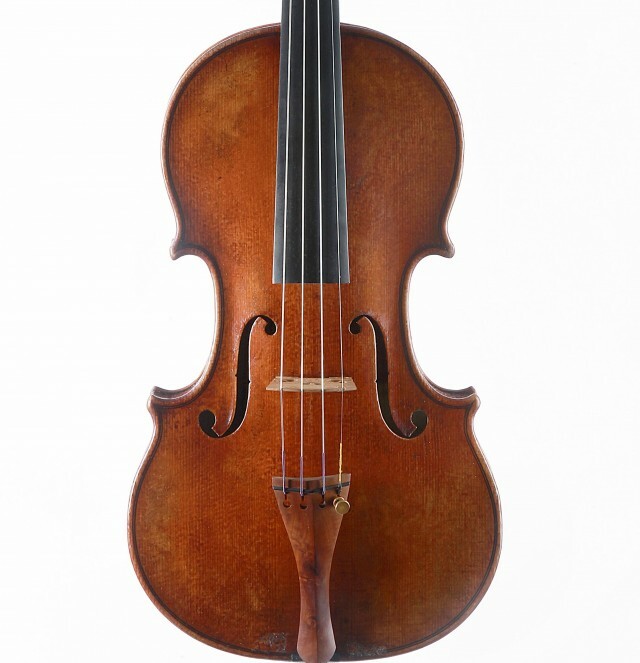 The history of the Stradivarius violin, now known as "the Betts", up to the early 1820's, is completely unknown, but it was at that time that an unknown person walked into the violin shop of Arthur Betts and his nephew, with the violin and offered it for sale. Whoever he was, he didn't know what he had, and accepted Arthur Bett's offer of one Guinea. Betts was a violinist, teacher, and violin dealer. His teacher had been none other than the famous violinist, Giovanni Battista Viotti, who played a 1709 golden period Stradivari violin, so Arthur knew what he was doing. Not surprisingly, the nephew thought the violin should belong to the firm, but Arthur claimed that since he bought it with his own money, (one guinea) it was his. Arthur Betts used the violin for the rest of his career. 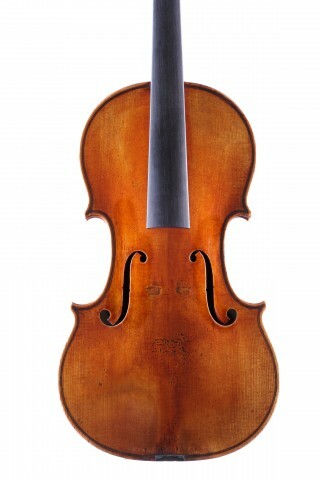 The violin was made in 1704, and retains what is believed to be its original untouched label. It was given the the Library of Congress in Washington, DC, along with several other Cremonese masterpieces, by the last owner, Mrs. Gertrude Clarke Whittall in the mid 1930's, and remains there today. 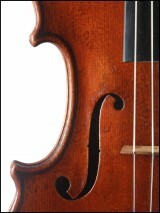 The violin is recognized as one of Stradivari's best examples. Steve Sirr and John Waddle have been CT scanning violins, violas, and cellos since 1989. Here is a vioiin being scanned. Once we have obtained quality CT scans of a violin, we can analyze its physical properties, density, mass, linear measurements, volumes, etc. We use this information to help choose the woods used and to guide us in the making of accurate copies. We use the digital information from the CT scans to make STL (stereolithography) files to directly transfer the carving of Stradivari's original archings into new tops and backs, and to directly transfer the shapes of Stradivari's original necks, and scrolls, using a CNC machine made and operated by Steve Rossow. Once we have obtained CT scans of a violin and have chosen wood that matches the wood of the original, Steve Rossow can carve duplicate parts digitally, using his CNC machine. 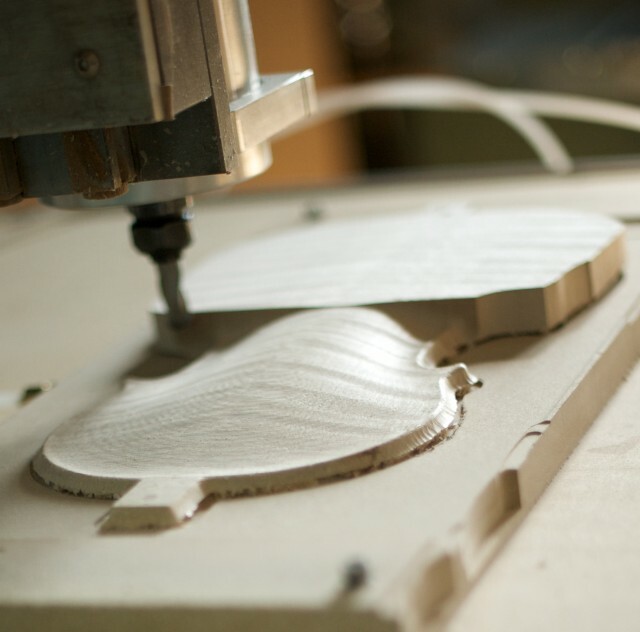 A CNC machine is a precision carving machine. It can carve wood more accurately than a human can. The next picture shows Stradivari's beautiful arching being re-created using our new process. Below, on the left, is a photo of the back of the Betts. 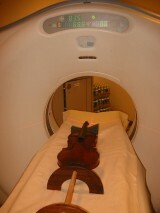 Next to it is a CT scan of the back. Next to that, to the right is a photo of our digitally carved copy of the back of Betts. The last photo is a copy we made. Below, on the left is a photo of the top of the Betts, compared with a CT scan of the top, and a photo of our new digitally carved copy of the front of the Betts. Next to that is a photo of the new copy. 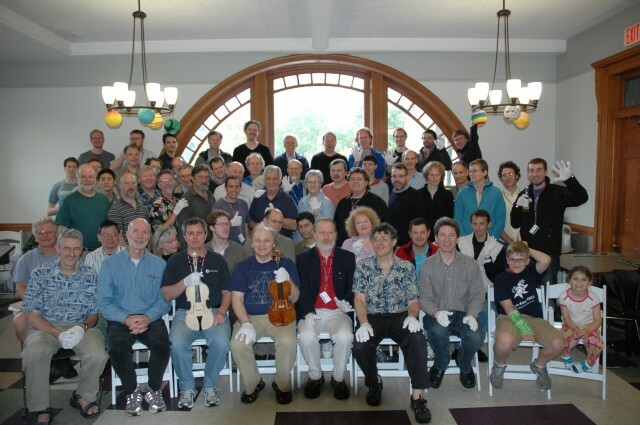 In June of 2011, Steve Rossow, Steve Sirr, and John Waddle went to Oberlin, Ohio, to participate in the Oberlin violin makers workshop. The Betts Stradivarius violin was the focus of the workshop. Here is a picture of the 2011 Oberlin Workshop participants. What a good looking bunch! Chris Germain is third from the left in the front row. He is holding the violin we made there. It will be varnished in June of 2012. Next to him is Gregg Alf. Gregg is holding the violin made by the class in 2010 and varnished in 2011. 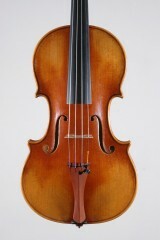 This violin, a copy of the "Ole Bull" Guarneri, is finished and has been sold. Below, Chris Germain (shown on the left) is the director of the workshop and has a violin shop in Philadelphia, PA.. John Montgomery takes care of the instruments in the Library of Congress, and has a violin shop in Raleigh, North Carolina. The two of them are shown in the workshop discussing some aspect of the project. 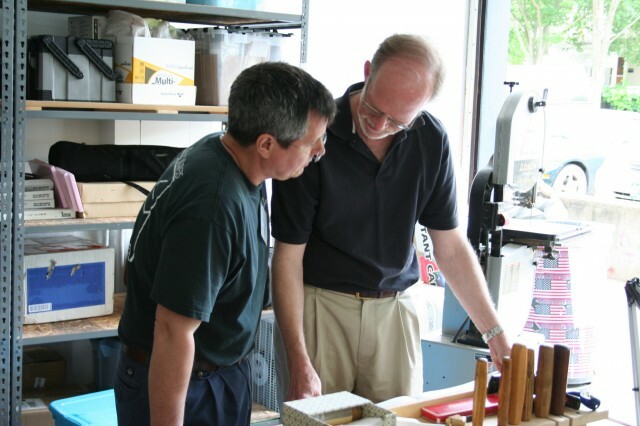 The Oberlin violin makers workshop has been in operation for fifteen years. 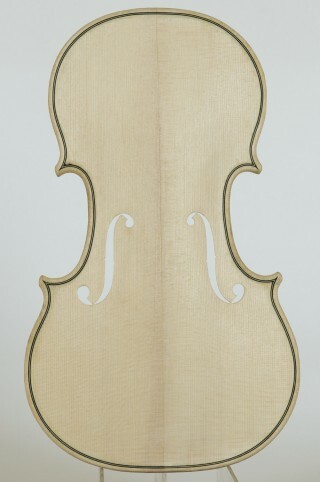 Normally one violin, viola, or cello, is made by the class (up to varnishing), strung up "in the white", and played, as a group project during the two week session. The instrument made by the group involved in the previous year's class is also varnished, strung up, and played. 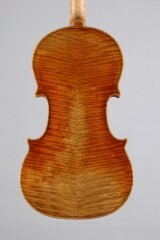 The 2010 project was to make a copy of the "Ole Bull" Guarneri violin, which was finished in 2011 . Gregg Alf was in charge of the varnishing of this violin, and did a beautiful job. Instruments made at the workshop are offered for sale to the public, with the proceeds going to keep the workshop in operation. If you are interested in purchasing one of the instruments, contact Chris Germain. Leaders of the group are chosen to be in charge of different parts of the project each year. 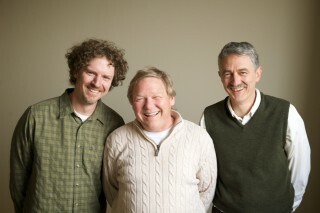 In 2011, John Waddle was in charge of the back, Raymond Shryer, who has his violin shop in Canada, was in charge of the top, Gregg Alf, of Ann Arbor, Michigan, was in charge of the rib structure, and Sam Zygmuntowicz, whose violin shop is in Brooklyn, New York, was in charge of the neck and scroll. Here is a picture of Raymond Shryer smoothing the top for the Betts copy with a scraper. 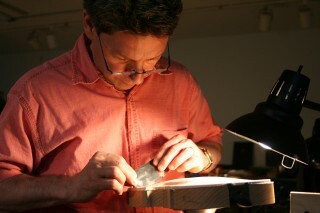 Gregg Alf is shown here carving the final shape of the blocks in the rib structure of the copy. 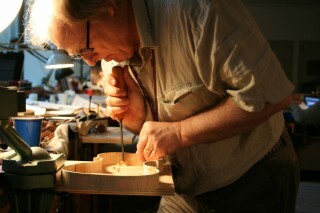 Sam Zygmuntowicz was in charge of the neck and scroll, and is shown here putting the final touches on the neck. 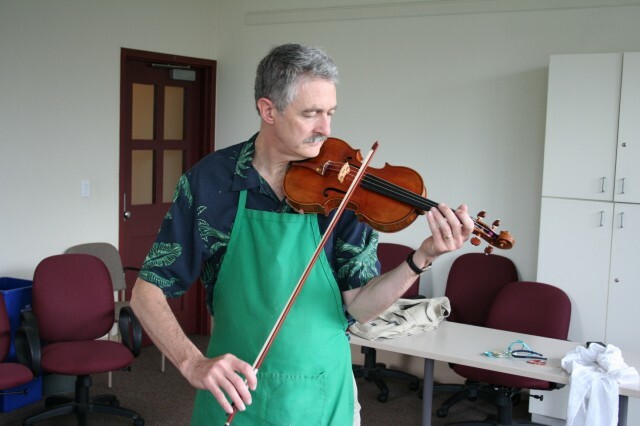 It was great to have the "Betts" violin in Oberlin for the two weeks of the 2011 workshop. John Montgomery, Sam Zygmuntowicz, Raymond Shryer also did some needed tonal adjustments on it. Even Stradivari violins need adjusting from time to time. We were allowed to play it. Here is a picture of John Waddle playing the Betts. What a treat for John! 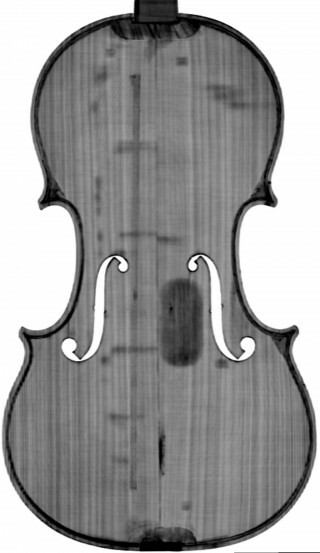 Using a carefully selected matching top, back, neck and scroll carved by Steve Rossow on his CNC machine directly from computer files generated from CT scans of "the Betts" violin, the Oberlin Betts copy was completed by the class as a group project to the point of being playable but without varnish. The varnishing was be done by Jeff Phillips and Antoine Nedelec in Oberlin. 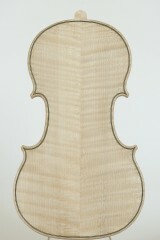 The woods used for the copy are selected for their density, grain structure, and visual similarity to the Betts violin. 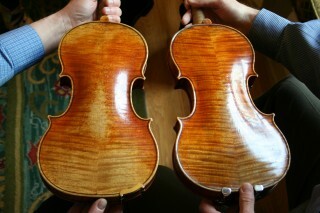 Here are two pictures of the finished violin next to the Betts. Can you tell which is which? This violin has been purchased, and donated to the Library of Congress. It is now a permanent part of the collection of instruments in the Library of Congress Music Division in Washington DC. Using another set of wood, also carefully selected, John, Steve Sirr, and Steve Rossow have completed another Betts copy violin. 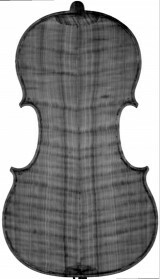 Using the same digital computer files generated by Steve Sirr, and used to make the parts for the violin made in Oberlin, Steve Rossow has carved Stradivari's archings into the new top, and back, and Stradivar's original shapes of the neck neck and scroll on his CNC machine. John Waddle has assembled the violin, varnished it and set it up. The violin has been sold. Using our new process of reverse engineering, and choosing wood carefully, we can make consistently good sounding violins that are comparable to instruments made in the past and not accessible to the public. 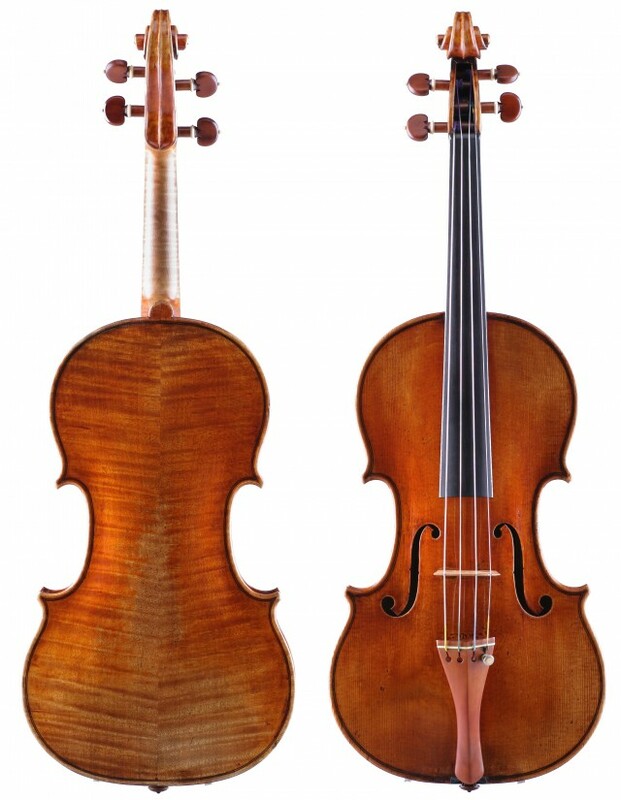 If you are a person who is fortunate enough that you can afford to buy a genuine Stradivari, Guarneri, or Amati, by all means, you should do it! If on the other hand, you are a person who cannot afford to buy such a violin, you might be able to actually own a fine violin which is very close, for a fraction of the cost. Here is a picture of the finished copy. This violin was part of an event in conjunction with Cremona Mondomusica in New York city in March of 2013, called "Stradivari vs. the Modern Violin". 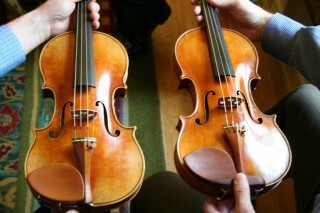 Three Stradivari violins and eleven modern violins were played in a controlled double blind test. 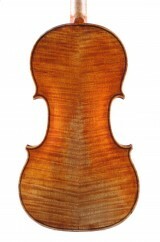 A panel of experts there chose our violin over the three Stradivari's in the test. Other modern violins also did well. The whole event was documented by NHK TV of Japan. Claudia Fritz, Joseph Curtin, and Fan Tao have participated in two other similar tests, in Indiana and Paris. Some people have been surprised that modern violins could sound as good as a Stradivarius, but in three well documented tests now, this has been proven to be the case. It simply isn't true that old violins always sound better than new ones. This violin has been purchased by a lucky musician in Wisconsin. Now we are turning our attention to making a copy of a 1741 Guarneri del Gesu. Stay tuned!